Happy Hour Yoga - Yoga and Pilates Studio Offering Xtend Barre, TRX, and Orbit Classes for Kids and Adults. Welcome To Happy Hour… WHERE YOUR FIRST CLASS IS ALWAYS FREE! SEE OUR MONTHLY WORKSHOPS BELOW…THERE’S LOTS TO DO THIS MONTH!! 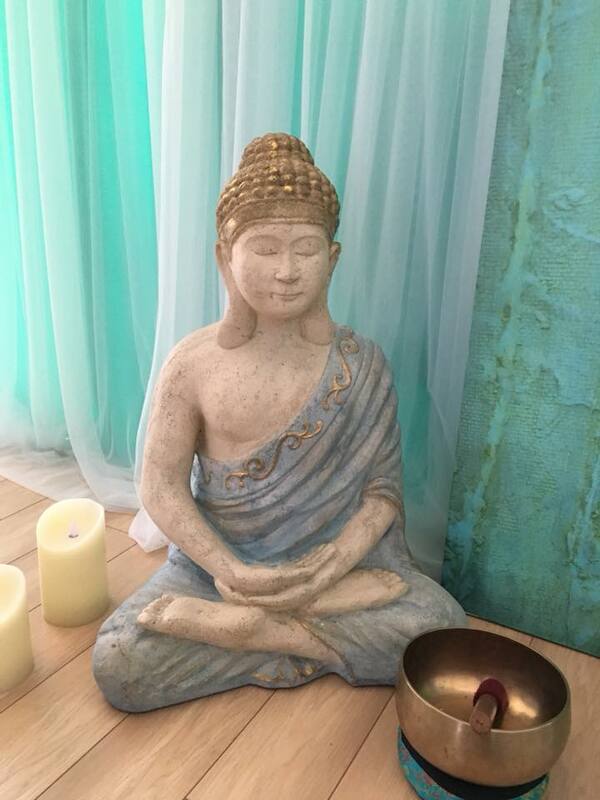 We hope you’ll stop in soon to see our beautiful studio and meet our wonderful instructors. You will feel right at home on your first visit. We offer a variety of classes, including yoga AND pilates (the perfect combination), Xtend barre, TRX, Orbit and more. Check out our class schedule to view the entire list of classes and times. We hope to see you soon! If you love yoga, this is the place for you! This studio and Nancy are amazing! 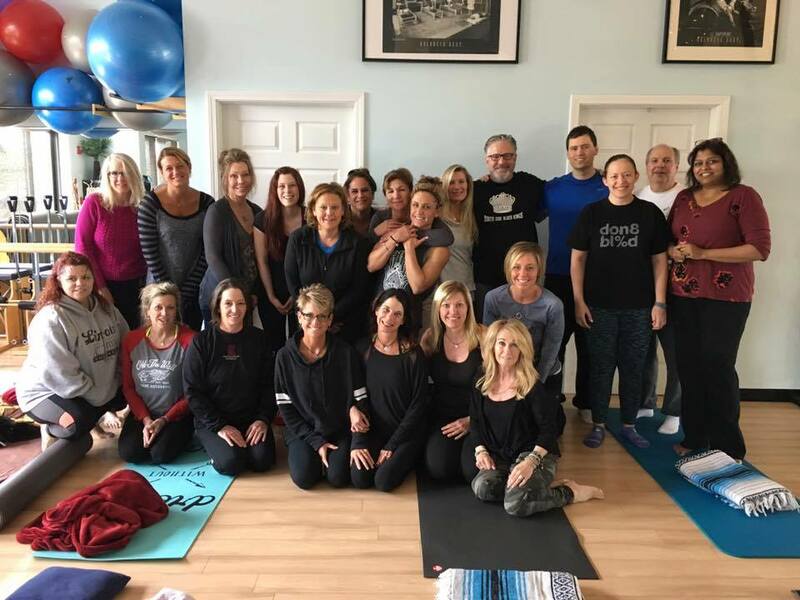 I had not really connected with my yoga practice until I tried one of Nancy’s classes. Then I was hooked! She understands that every body is different and there is NEVER any judgement, only love, acceptance and fun. Thank you Nancy, for giving me peace and a true love of yoga! Give Happy Hour Yoga a try, you won’t regret it! I cannot say enough about Happy Hour Yoga! “H.A.P.P.Y” (Healing And Peaceful Pilates And Yoga) Aptly named! The studio is beautiful. From the moment you enter, you can feel all your daily stress simply drift away! Each and every instructor I’ve been blessed to train with has been warm, welcoming and straight up fun! There are classes for every level of fitness and indeed, it doesn’t matter where your fitness level lays, because every class is made available to everyone as we are given great modifications for where we are in our lives. That’s hard to find! I joined to take Yoga classes but I’ve found that ALL the classes are enticing. So I have been trying others and intend to try them ALL! Shout out to Nancy the owner! She is kind, loving, all inclusive, funny, warm and truly cares about every single person who walks through that door! Again, that’s a blessing and difficult to find in this world that often times makes you feel like a number! So do yourself a favor and check it out! Gift yourself with at least one incredibly “Happy Hour”! I promise you won’t be sorry and you’ll be back for more!! !